Tubi’s fully automated reeling system offers the capability of stringing an unprecedented 2 million metres per annum with only three men. 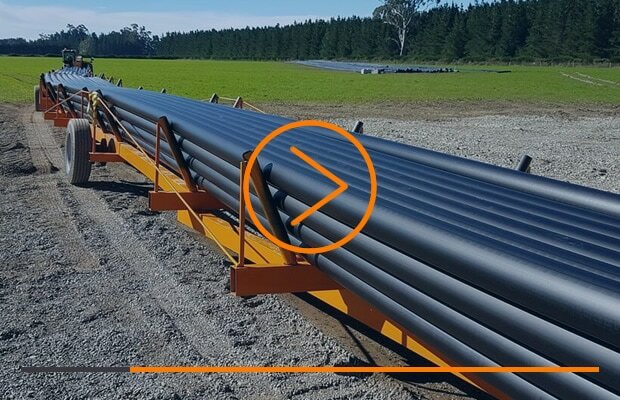 Our methodology of stringing long-length of continuous pipe can reduce 70% of required project personnel, simultaneously delivering long-term benefits to the cost, duration and safety on even the most complex projects. 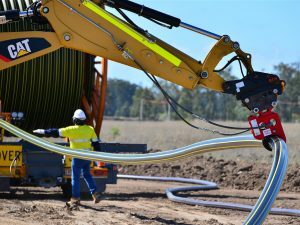 Tubi’s unique stringing technology has been engineered by our best and brightest minds to offer forward-thinking companies access to exclusive equipment that will deliver myriad project and client advantages. Our Pipe Coiling Technologies (PCT) with Ovolow innovations offer a globally superior technique for large bore reeling and rapid deployment of up to 4000 metres of portable pipe, with diameters from 90mm up to 1,200mm, laid along the pipeline or directly into the trench. 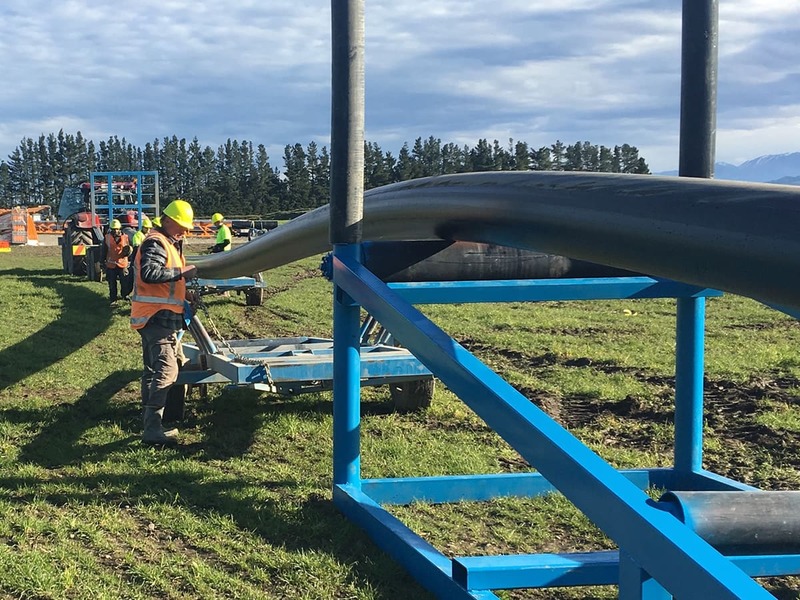 This large diameter reeling and stringing relies on Tubi’s specialist Ovolow reeling drums for the transport and execution of the project application. Our methodology of stringing long-length of continuous pipe can reduce 70% of required project personnel, simultaneously delivering long-term benefits to the cost, duration and safety on even the most complex projects. 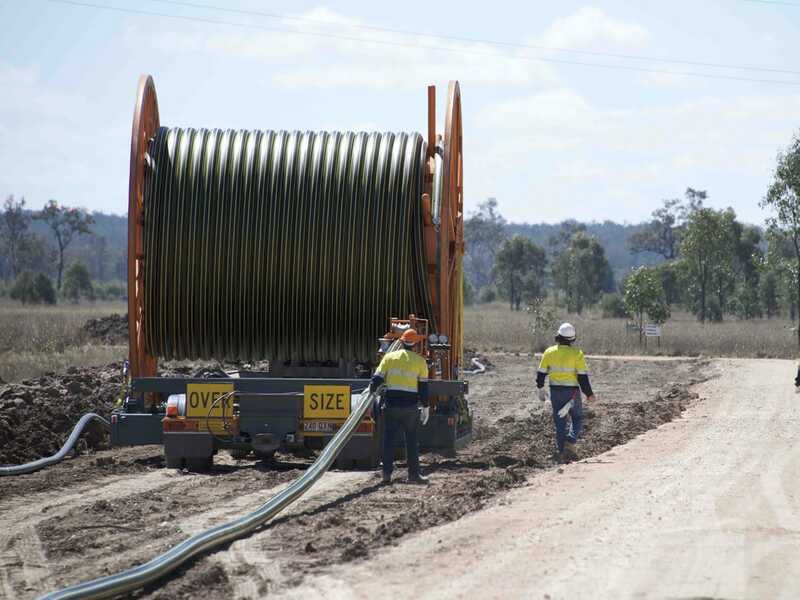 In the operational phase of the project one stringing application facilitated by Tubi’s fully automated reeling system offers the capability of stringing an unprecedented 2 million metres per annum with only three men. Designed to operate in diverse environments our multidisciplinary engineering in this sector offers a broad scope of industries the key chance to achieve optimal results for their current projects and those for years to come. 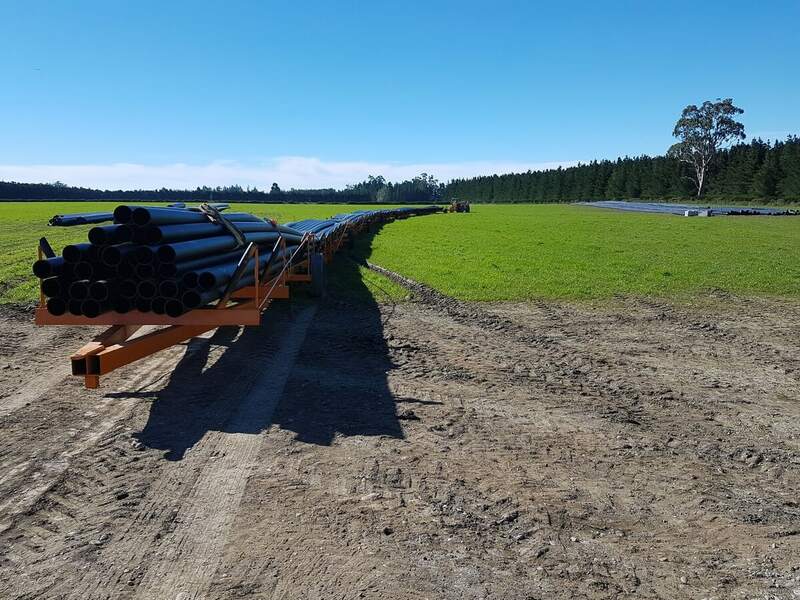 To discover more about how our QuickString technology works with our unique patented Mobile Modular Extrusion plant to optimise project production and efficiency, please contact your local Tubi representative here.